Degree Offered: MD (Equivalent to MBBS in India) 6 years course. Indian students studying in Ukraine can practice in India after appearing for the Screening Test. Courses: MD (equivalent to MBBS in India) Dentistry, Pharmacy, Nursing. 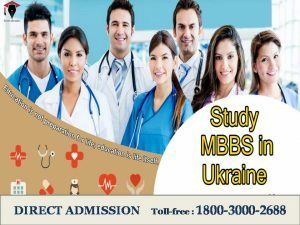 The students with medical degrees from Ukraine are permitted to apply for International Licensing exams like USMLE (USA), PLAB (UK), MCI Screening Test as well as in other countries. Graduates can apply for a license with Medical Councils of more than 180 countries. The process of Europe unification has been accompanied by the establishment of a common education and research framework as well as the development of uniform criteria and standards in this field within the whole continent. This process is called the Bologna Process. The Bologna Process started on 19 June 1999 in Bologna (Italy). 40 countries are participating in the Bologna Process. Ukraine joined the Bologna Process in 2005. Universities in Ukraine are teaching under Bologna Process European Credit Transfer Scheme or ECTS that means the course is compatible in all countries of Europe including the UK and Germany. The Ukrainian method of teaching is at par with that of the rest of the world and thus students find acceptance in fields of work as well as places of higher education elsewhere. Ukraine, Europe – Located in Eastern Europe, Ukraine is the largest country within the continent. Ukraine became independent in 1991 with the fall of the Soviet Union. Ukraine is the second largest country in Europe, with an area of 603,700 square kilometres; a coastline of 2,782 kilometres and a population of 50 million plus. The capital and the largest city in Ukraine is Kiev. The seven neighbouring countries are Belarus, Russia, Slovakia, Hungary, Romania, Moldova and Poland. Ukraine has a temperate continental climate in the mainland with Mediterranean climate on the coastal belt. Winters vary from cool along the Black Sea to cold farther inland. Education for Foreign Students: Ukraine has Europe’s largest international student population, with nearly 20,000 students choosing to broaden their education and life experience in Ukraine. From the mid-1990s, when international student enrolment was only just reaching 5,000, international education in Ukraine has come a long way. At present, there are more than 3000 Indian students studying in Ukraine in different fields. Ukraine has always been open to foreign students. There is a huge number of institutes of Higher Education in Ukraine and over 30,000 international students are enrolled in various institutes from over 100 countries from Asia, Europe, America and Africa. The international student community in Ukraine comprises men and women from all over the world; who have the invaluable experience of studying together with students from many different cultural and national backgrounds. Contact with students from many countries in the world broadens understanding of other peoples & provides valuable friendships, many of which last a lifetime. Currency: Hryvnya (UAH) in the denominations of 200, 100, 50, 10, 5, 2, and Coins are denominated in 50, 25, 10, 5. Foreign currency is readily changed at numerous currency exchanges on the streets or in banks. International ATM cards work in most ATMs. 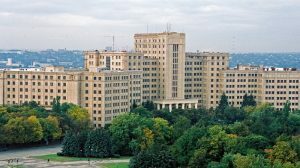 MD Medicine (MBBS) in Ukraine: The duration of this course is 6 years and the degree awarded is Doctor of Medicine that is M.D. which is equivalent to the MBBS degree offered in India. During these six years of study, students get to learn various fundamental disciplines as well as specialized medical subjects. International students are divided into small batches and learn along with localities so as to ensure a healthy atmosphere. Kharkiv National Medical University (KNMU) – is one of the top medical universities located in Kharkiv city in the east of Ukraine. The University was founded in 1805. Since 1951 the University has been training international students. Lviv National Medical University (LNMU) – is one of the oldest and biggest medical educational institutions in Ukraine which was opened on November 16, 1784. 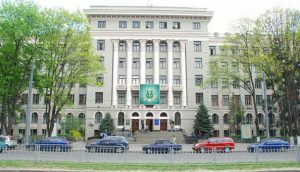 Lviv National Medical University provides admission for foreign citizens to the undergraduate education at Faculty of General Medicine, Faculty of Dentistry and Faculty of Pharmacy, also provides admission for Preparatory Course and Postgraduate Training. Training of specialists is provided at 6 Faculties: Medical Faculty #1 and #2, Faculty of Dentistry, Faculty of Pharmacy, Faculty of Postgraduate training, Faculty of Foreign Students – according to educational-qualification level: specialist, master. Beginning from 1961 University provides education for foreign citizens. During 50 years over 25 thousand doctors and pharmacists – foreigners have got an education here and have been working successfully as doctors and pharmacists in many countries of the world. Since 1997 the teaching of foreign students in English has been launched and is rapidly developing. Now 70% of University foreign students study various programme in English Medium. Kyiv Medical University of UAFM – medical school of a new type, founded in 1992. The University located in the capital of Ukraine, the city of Kiev, which is the centre of the country, where most of the transport, business, communications, industries and entertainments are concentrated. National Medical University n. a. O. O. Bogomolets – is one of the oldest universities in Ukraine. It was founded in September 1841. Vinnitsa National Medical University n.a. N.I. Pirogov – was founded in 1921 and more than 44 000 students have graduated since foundation. The academic staff numbers 812 lecturers (120 doctors of science, professors, 554 candidates of science, associate professors). Odessa State Medical University – is one of the most famous medical universities in Ukraine. It was founded in 1900 as the Medical Faculty of the Novorossiysk University. In 1922 the faculty was reformed in the independent higher educational establishment – Odessa State Medical University, which became a leading medical university in the south of Ukraine. Ternopil State Medical University – has been was founded in 1957, in the beautiful city of Western Ukraine, Ternopil. It’s a picturesque destination, with a heroic past, wide history and unique natural landscapes. Ternopil State Medical University is a prestigious institution of higher education, rich in scientific tradition. Ternopil State Medical University is known for its high-quality teaching and research throughout Ukraine. Innovative educational concepts and technologies are constantly introduced into the teaching process. Students have the option to be trained in four faculties of the University: Medical, Pharmaceutical, Bachelors-Junior Medical Personnel, and Post-Graduate. These facilities are located in eight academic buildings and 16 medical institutions. Among the most important aspects in the work of the Academy is the scientific and research activities which are naturally combined. Our scientists conduct research in Osteoporosis, diseases of bones and joints, Gastroenterology and Hepatology, Diseases of the cardiovascular system. Bukovinian State Medical University – was founded in 1944. It is one of the biggest higher educational establishments in Ukraine, located in the city of Chernovtsy. Ivano-Frankivsk National Medical University – was founded in 1945 in the western part of Ukraine, the city of Ivano-Frankivsk. After the first partition of Poland (1772), the town was held by Austria until 1919. V N Karazin Kharkiv National University is one of the oldest universities in Eastern Europe. It was founded in November 1804, on the initiative of the prominent educator V.N. Karazin. Today the University rates among the best Ukrainian classical universities. The University has graduated over 130,000 students. Its offspring are the National Academy of Law, the National Pharmaceutical Academy, Kharkiv Medical University, Kharkiv Pedagogical University, the Kharkiv Veterinary Academy, the Kharkiv Academy of Culture, Kharkiv Economic University and other institutions of higher education. Kharkiv National University has 21 Schools: the School of Biology, the School of Physics & Technology, the School of Radio Physics, the School of Physics, the School of Computer Sciences, the School of Philosophy, the School of Mechanical Engineering, the School of Geology & Geography, the School of Economics, the School of Foreign Languages, the School of History, the School of Philology, the School of Fundamental Medicine, the School of Chemistry, the School of Sociology, the School of Psychology, the School of Law, the School of International Economic Relations & Tourism, the School of Further Education & Retraining, the School of Physics & Energy. Kharkiv National Medical University (KNMU) Ukraine is one of the oldest higher educational establishments of Ukraine. It was founded in 1805 as the Medical Faculty of the Kharkiv University. Kharkov Medical Institute and Kharkov State Medical University are old names of Kharkiv National Medical University/KNMU. The United Kingdom is a unitary state under a constitutional monarchy. Queen Elizabeth II is the monarch and head of state of the UK, as well as Queen of fifteen other independent Commonwealth countries. Transport in the United Kingdom is facilitated by road, air, rail, and water networks. A radial road network totals 29,145 miles (46,904 km) of main roads, 2,173 miles (3,497 km) of motorways and 213,750 miles (344,000 km) of paved roads. The cost of education for an international student in the UK can be generally lower compared to the USA and other countries. One recent study from the Higher Education Policy Institute warned that the UK must act to contain and reduce tuition and costs to stay competitive in the hunt for international students. Medicine is the most sought-after course not only in the UK but in the whole of Europe. No entrance exam is needed for admissions into MBChB programme in the UK. Your intermediate scorecard will determine your eligibility (generally 70+ in PCB) plus an overall score of 6th band in the IELTS. Medical students studying anywhere in the UK work in hospitals in their clinical programme and earn a handsome stipend of 2500 British pound per month, i,e approx. 2 lakhs a month as per the UK Labour law. 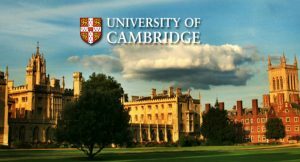 With the same variety of courses as that offered by Oxford University, Cambridge is well reputed for focusing on its particular research area which is cardiovascular medicine and diabetes. With a QS world ranking of 19 and its modern teaching techniques and method, this MBBS College in the UK offers undergraduate students Bachelor of Science and Bachelor of Medicine and Surgery courses. Various other options for postgraduate programs are available as well. Queen Mary University of London (QMUL) is a public research university in London, England, and a constituent college of the federal University of London. It dates back to the foundation of London Hospital Medical College in 1785. Queen Mary College, named after Mary of Teck, was admitted to the University of London in 1915 and in 1989 merged with Westfield College to form Queen Mary and Westfield College. In 1995 Queen Mary and Westfield College merged with St Bartholomew’s Hospital Medical College and the London Hospital Medical College to form the School of Medicine and Dentistry. The Medical College of the Royal London Hospital (now part of Barts and The London School of Medicine and Dentistry) was England’s first medical school when it opened in 1785. To date, there have been eight Nobel laureates who were either students or academics at Queen Mary with the likes of Sir Ronald Ross, Henry Dale and many more. Proudly standing as the best college for medicinal studies in Scotland, this university is the fifth oldest MBBS University in the UK. Not unlike all other colleges, this too provides several courses undergraduate and postgraduate programs. The University of Aberdeen is a public research university in Aberdeen, Scotland. It is an ancient university founded in 1495 when William Elphinstone, Bishop of Aberdeen, petitioned Pope Alexander VI on behalf of James IV, King of Scots to establish King’s College, making it Scotland’s third-oldest university and the fifth-oldest in the English-speaking world. The university as it is today was formed in 1860 by a merger between King’s College and Marischal College, a second university founded in 1593 as a Protestant alternative to the former. Today, Aberdeen is consistently ranked among the top 200 universities in the world and is one of two universities in the city, the other being the Robert Gordon University. The university’s iconic buildings act as symbols of wider Aberdeen, particularly Marischal College in the city centre and the spire of King’s College in Old Aberdeen. Also commonly known as ‘UCL’, this great institution is the third oldest in the whole of England. The notable alumni of UCL have played a vital role in making it a renowned institution. Scientist and inventor Alexander Graham Bell, Indian freedom fighter and lawyer Mahatma Gandhi, Acclaimed Hollywood filmmaker Christopher Nolan as well as English singer and songwriter Chris Martin are a few famous personalities who studied at UCL. 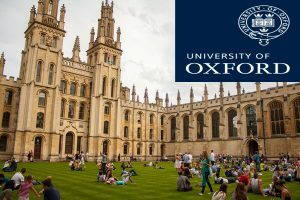 Majorly meant for biomedical research, this is amongst the most huge medical universities in the UK and stands 6th in the QS world university rankings. Offering a vast variety of undergraduate and post-graduate degree programs, the college has nine academic departments. In 2012, it proudly secured the 2nd place in UK and 3rd in the world rank. It is well reputed for its heart and lung transplant surgery skills. The Imperial Faculty of Medicine was formed through mergers between Imperial and the St Mary’s, Charing Cross and Westminster, and Royal Postgraduate medical schools and has six teaching hospitals. It accepts more than 300 undergraduate medical students per year and has around 321 taught and 700 research full-time equivalent postgraduate students. The University of Glasgow is the fourth oldest university in the English-speaking world and one of Scotland’s four ancient universities. It was founded in 1451. Along with the University of Edinburgh, the University was part of the Scottish Enlightenment during the 18th century. It has the largest college area in Europe and focuses on research in cancer and cardiovascular diseases. In partnership with Dundee University, this university offers a five-year medical degree program. It was the first university in Europe and the second in the world to have received permission to pursue stem-cell research in human embryos. The University of St Andrews (informally known as St Andrews University or simply St Andrews; abbreviated as St And, from the Latin Sancti Andreae, in post-nominals) is a British public research university in St Andrews, Fife, Scotland. It is the oldest of the four ancient universities of Scotland and the third oldest university in the English-speaking world(following Oxford and Cambridge Universities). St Andrews was founded between 1410 and 1413. There are 18 academic schools organised into four faculties. The university occupies historic and modern buildings located throughout the town of the Augustinian clergy. Notable University of St Andrews alumni include King James II of Scotland; United States Declaration of Independence signatory James Wilson (1761); Governor General of Canada John Campbell; discoverer of logarithms John Napier (1563); founder of the Church of Scotland and leader of the Protestant Reformation John Knox (1531); notable Leader of the Church of Scotland Thomas Chalmers; founder of and the first Chancellor of the University of Glasgow William Turnbull; founder of the University of Edinburgh Robert Reid; founder of the world’s first commercial savings bank Henry Duncan (1823); journalist and politician during the French Revolution Jean-Paul Marat (1775 MD); inventor of beta-blockers, H2 receptor antagonists and Nobel Prize in Medicine winner James W. Black (1946 MB ChB); the ‘father of military medicine’ Sir John Pringle, 1st Baronet; pioneer of the smallpox vaccine Edward Jenner (1792 MD); Prince William, Duke of Cambridge (2005) and Catherine, Duchess of Cambridge (2005). With a whopping history of over 600 years of teaching and research, this university offers programs in Health Psychology and Research in Molecular Medicine. Heavy words, eh? It was famous as the “Bute Medical School” until 2010/2011. MBBS in Mauritius is very popular among Indian students. Mauritius is an emerging destination for quality Medical Studies (MBBS) in the Indian Ocean. Mauritius is the second home for India students because the culture, language, food and lifestyle is almost like India. One doesn’t feel away from home in Mauritius. The name Mauritius evokes enthusiasm across the world and draws luxury tourists from all parts of the Globe. The country is also a major financial markets hub. Quality of life is excellent. Mauritius is a democratic country spread over an area of 1864 Sq. Km and having a population of 1.286 million (2011) estimate, of which majority are young and vibrant. English is generally accepted as the official language of Mauritius and other languages spoken are Hindi/Bhojpuri, Marathi, Urdu, Telugu, Tamil, Malayalam, French, Chinese and Arabic. 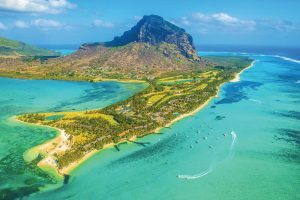 Mauritius is endowed with rich natural and manmade attractions, enjoys a sub-tropical climate with clear warm sea waters, attractive beaches, tropical flora and fauna complemented by a multi-ethnic and cultural population that is friendly and welcoming. Mauritius received the “World’s Leading Island Destination” award for the third time and “World’s Best Beach” at the World Travel Awards in January 2012. Most ideal location to acquire a quality medical education in Mauritius. Anna Medical College and Research Centre, Mauritius.. The duration of the MBBS course is 5years divided into 10 semesters of 6 months. MBBS: 5 Years + Internship: 10 Semesters of 6 months each. Admission to the colleges in the country takes place twice in a year. It is during the months of February and August that you can enroll in an MBBS program. Students need to attain 17 years before they apply for the MBBS courses. You need to secure a minimum of 60% in 12th Standard examinations with Physics, Chemistry and Biology. It is important to assure that you have the required funds and financial resources to pay the fees. As you reach Mauritius to embark upon the course, you can stay with the Mauritian families. You can select among single and shared rooms. You can move into flats and share it with other people. The costs of accommodation depending on the size of the room and facilities. The student service department will be able to furnish all details related to making the necessary accommodation in Mauritius. It is important to have the proximity of the institute to the place you have selected for the stay. A number of bus companies offer their services in the country. To travel independently, you can avail independent taxis which are available at every part of the country. In urban areas, buses run from 5:30 am to 8:00 pm. You can also avail car and scooter rental services. You can travel to different parts of the island in a scooter. Mauritius offers incredible seafood which is prepared in the form of curries or stew. The country offers delectable Cantonese food. Chinese dim sums with a Mauritian touch are worth a try. The staple diet of the island is rice. Chinese migrants have made noodles popular in the island. Several Asian restaurants are present on the island which offers chicken, squid, and fish and beef dishes. Mauritius is a tropical island and has a lot of greenery. During winters, the temperatures can range from 20 degrees Celsius to 26 degrees Celsius. During summers, the temperature can go up to 32 degrees Celsius. Steady wind blows from the easterly direction. In Mauritius, MBBS course fees is around 35,00,000 INR (for whole 5 years), Living Cost- 200 to 300 USD per month, Course Duration – 5 Years.